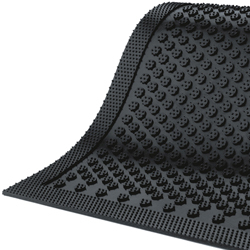 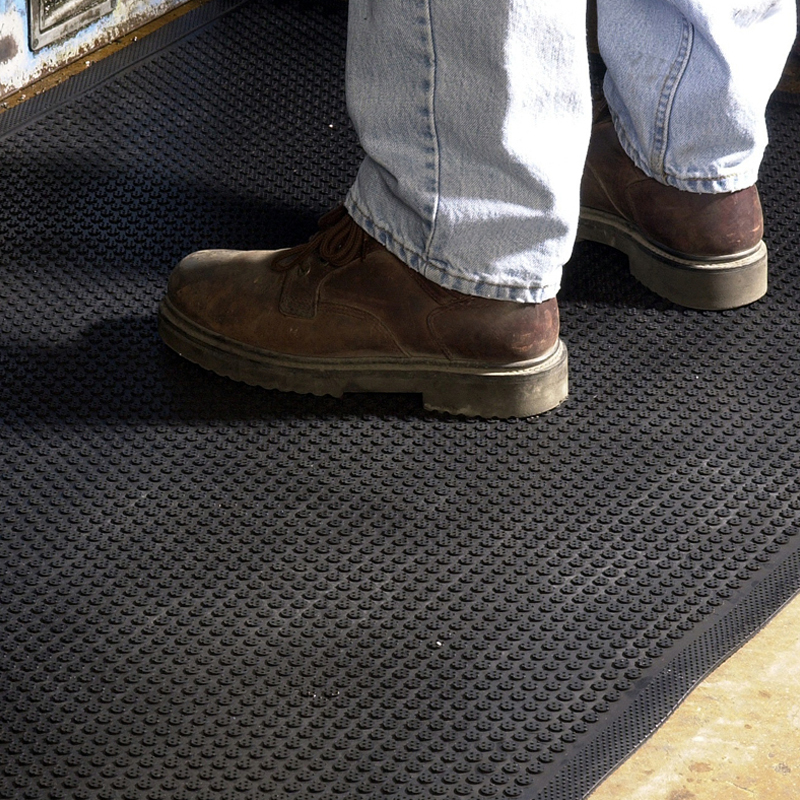 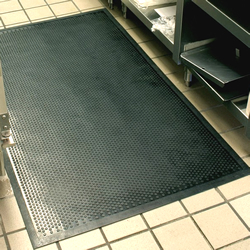 Safety Scrape™ features Tri-Grip cleated backing to minimize mat movement, with slip-resistant round treads. • Molded tread-surface face cleats scrapes dirt and grime off shoes. • Constructed of 100% Nitrile rubber for oil and chemical resistance. 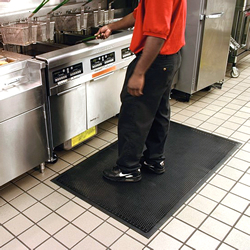 • Anti-skid gripper backing prevents mat from sliding or slipping. 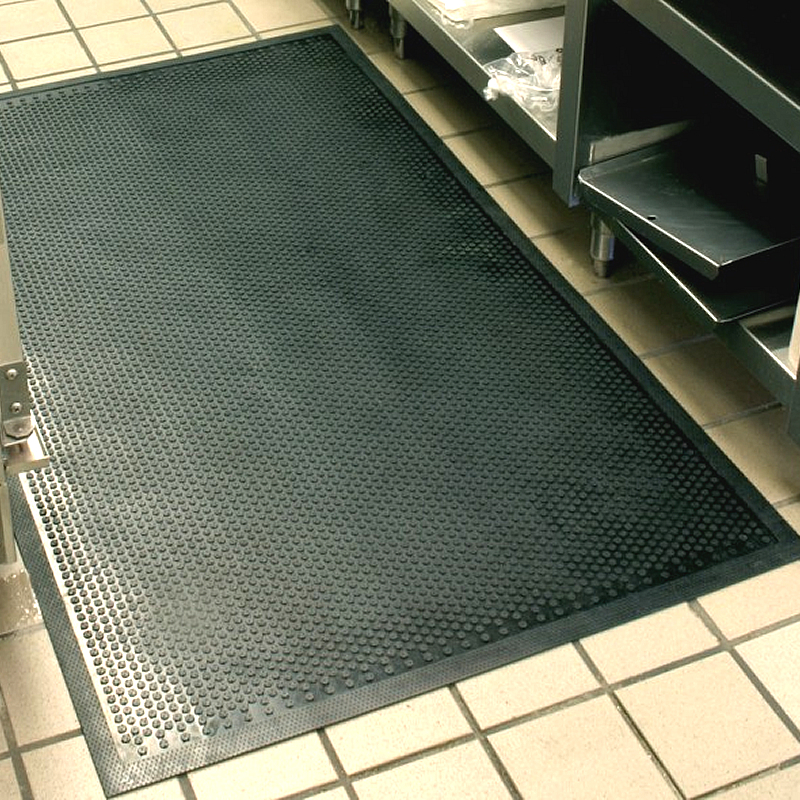 • 1/8" low profile edge prevents trips.